eOSP | This digital newsletter is a digest of calls for participation, research collaborations, fellowships, scholarships, events and other opportunities as well as news of breakthroughs and scientific discoveries for the Silliman University community . It is curated by the Office of Strategic Partnerships. 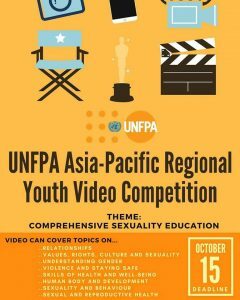 UNFPA is hosting an Asia-Pacific Regional Youth Video Competition. Two winners will be selected to attend the Share-a-thon on CSE in Bangkok, Thailand in November 2018 (including round trip airfares, accommodation, and daily subsistence allowance). 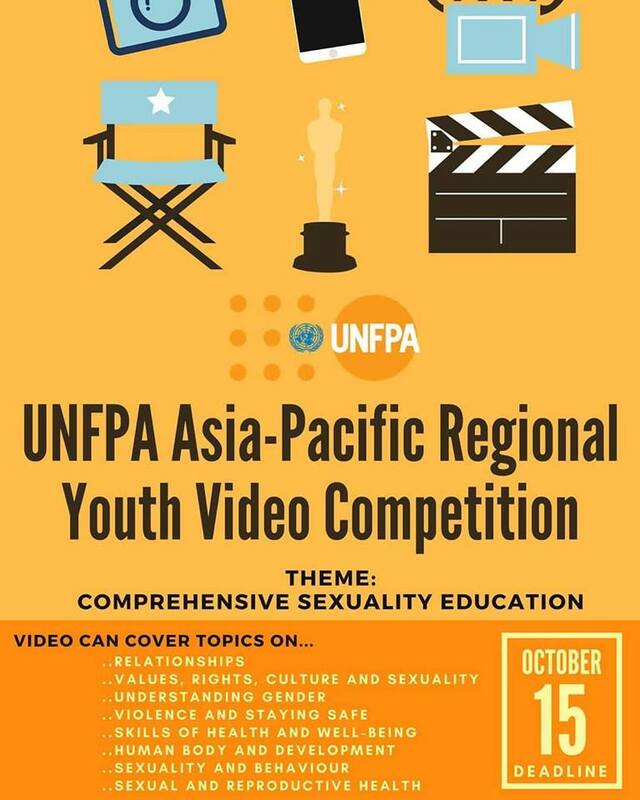 Also, get the opportunity to work with the UNFPA Asia and the Pacific Regional Office with videos, articles and social media covering highlights of the meeting. The Political and Human Rights Officer will serve as a key member of the British Embassy’s Policy, Projects and Communications team. The jobholder will be responsible for monitoring, assessing and reporting on human rights and rule of law issues throughout the Philippines. The jobholder will also support the Embassy’s Political Attaché and Second Secretary Political in providing analysis of internal politics and delivery of the UK’s wider security objectives. [Internship] Mano Amiga is looking for creative thinkers, passionate problem solvers and proactive team members who will serve as the Communications & Advocacy intern for our upcoming Digital Youth Summit. The Digital Youth Summit (DYS) is one of the main events of Mano Amiga in partnership with Facebook APAC. This program aims to train organizations and individuals around the Philippines on efficient and effective ways they can utilize social media to promote social good. If you are interested, please send your CV to [email protected]. Atlas Corps is an overseas fellowship for the world’s best social change leaders. Our mission is to address critical social issues by developing leaders, strengthening organizations, and promoting innovation through an overseas fellowship of skilled social sector professionals. The Atlas Corps Fellowship typically lasts 12-18 months. For those serving in the United States, we will be bringing in new classes every 2 to 4 months. Fellows serve full-time at Host Organizations, develop leadership skills, and learn best practices through the Atlas Corps Global Leadership Lab professional development series and networking opportunities with other Fellows who are talented professionals from around the world. This prestigious fellowship includes health insurance, enrollment in the Atlas Corps Global Leadership Lab, flight and visa costs, and a living stipend to cover basic expenses (groceries, local transportation, and shared housing). KAIST is inviting Undergraduate Students from all ASIAN Counties to apply for the International KAIST Camp. KAIST Stands for Korea Advanced Institute of Science and Technology. 1. 3rd or 4th-year college student. 2. At a university in Vietnam, Indonesia, Philippines, Malaysia, Thailand, and other Asian countries. 3. Majoring in Computer Science or in other related areas. 4. No Passport Required at the time of Application. Deadline to Apply for 2019 International KAIST Camp is 30th September 2018.